Jonathan Ashby is an audio programmer at Frontier and has been there for 2 1/2 years. 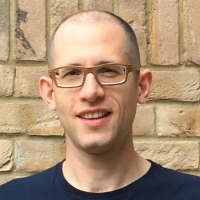 He is passionate about developing audio systems and algorithms that can be used across multiple projects. 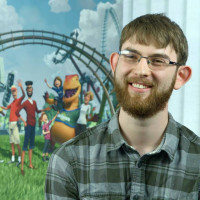 Jonathan has been a key audio coder on Planet Coaster and on forthcoming Jurassic World: Evolution. A long time ago he played baritone sax in a jazz band. Key members of Frontier’s audio programming team demonstrate how to create a bespoke VMS to mitigate an excessive voice count that’s draining CPU time and memory resources - leading to a cluttered mix that’s hard to tame. For the uninitiated, development of such systems can be a significant time sink and middleware isn’t necessarily the answer. Over the last five years, Frontier has developed bespoke technology to overcome some of those third party shortcomings. This talk will provide an overview of that development across a number of titles including forthcoming Jurassic World Evolution. A brief critique of previous implementations will provide an historical perspective and reveal lessons learned and key insights into choices made. An outline of the latest system's functionality and implementation will show how programming best practices such as generic systems, code reuse and separation of concerns can greatly help VMS development at your studio.